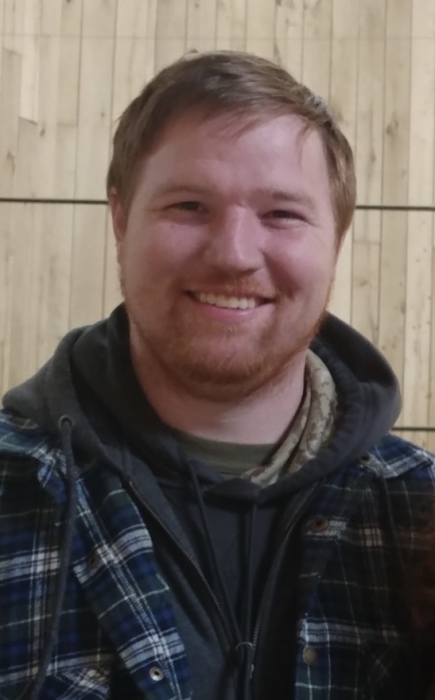 On Wednesday, March 27, 2019, Charles Steven Asklund passed away in Champaign, IL at the age of 28. Steven was born December 28, 1990 in Urbana, IL to Ann and Neal Asklund. Steven was raised in Philo where he attended St. Thomas Grade School and then went on to The High School of St. Thomas More, class of 2009. He and his brother, Carson, completed several service projects on the grounds at STM. After graduating high school, Steven enlisted in the United States Marine Corps. He proudly served our country for four years stationed in Pearl Harbor and completed two tours in Afghanistan (2010, 2012). Steven was honorably discharged in 2013 at the rank of Lance Corporal. He cherished the lifelong friendships and brotherhood he experienced in the Marines. After the military, Steven worked security in Colorado and Oregon. Most recently, Steven was completing prerequisites at Parkland where he hoped to study nursing and eventually serve fellow veterans. Steven is survived by his mother, Ann (Chris) Knox of Champaign and father, Neal (Rose) Asklund of Urbana; grandmothers Nancy Asklund, Nancee Knox, and Wanda Moore; brothers Christopher (Sarah) Asklund, Thaddeus (Kendhal) Woodworth, Rhett (Ashley) Woodworth, and Carson Woodworth; sisters Emma Asklund, Katherine Asklund, Kayla Knox, and Erin Knox. Steven was adored by a large extended family including many aunts, uncles, cousins, nieces, and nephews. Steven was preceded in death by his grandparents Rex and Brenda Douglas, Charles “Ken” Asklund, Russ Knox, and Robert Moore. In 2011, Steven proudly took leave from his active military duties to accompany his paternal grandfather and WWII Veteran, Ken Asklund, on The Honor Flight. That same year, he took additional leave to stand by his brother Chris’ side as the best man in his wedding. Time spent with family was very important to Steven. From Sundaydinners to weekly golf outings, Steven loved his family and his family loved him. He was an avid sports fan. Steven loved the Chicago Bears and Cubs, traveling, learning about history, spending time with his girlfriend,Savanna Gephard, his stepdad’s BBQ, reading a good book (or two), and a tall glass of milk with his pizza. He begrudgingly shared his bed with his dog, Big Rylie. Steven only sneezed in threes, he often walked around with his shoes untied, and he didn’t mind holes in his socks; there was only one Steven. He had a huge heart and his smile and laugh were unforgettable. Steven will be missed beyond measure by his family and friends.